Everyone deserves to have a healthy, bright smile! Whitening for Life (WFL) is a unique, exciting program we offer our patients… for life! How does WFL work? 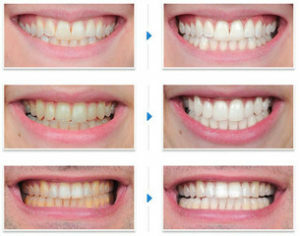 During your hygiene visit we will provide you with custom-fitted whitening trays and a starter kit of professional whitening gel. As you return for your regular hygiene checkups you will receive a syringe of whitening gel at no additional cost.